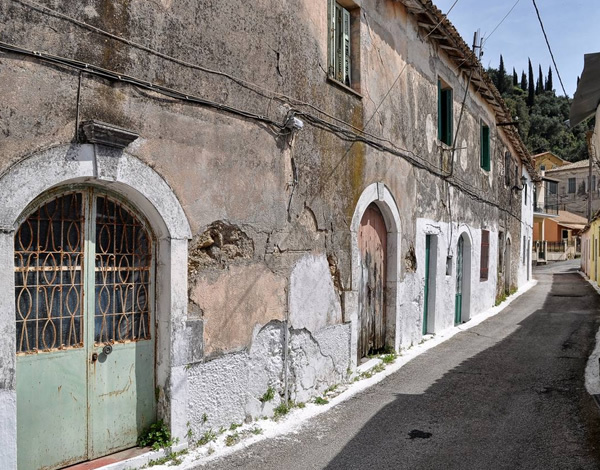 Renovated traditional village house in Ano Korakiana, central Corfu. This house is located in the heart of Ano Korakiana which is a very well preserved traditional village. It has been tastefully renovated and kept its original shape and features. The entrance of the property opens to the ground floor which is consisting of open plan kitchen/sitting/dining area and a bathroom. There is a separate door leading out to a small terrace ideal for dinning al fresco dinning. The wooden traditional staircase leads to the upper floor where there are two bedrooms, one double and a single. The village of Ano Korakiana is five minutes drive to the nearest beach of Ipsos in the East Coast. On the West Coast, the nearest beach is Liapades and Paleokastritsa.